What is on your to-do list this week? So glad you took just a few days for yourself!!! You definitely needed that after all the hard work! Your list looks pretty organized and do-able----lists always help me. 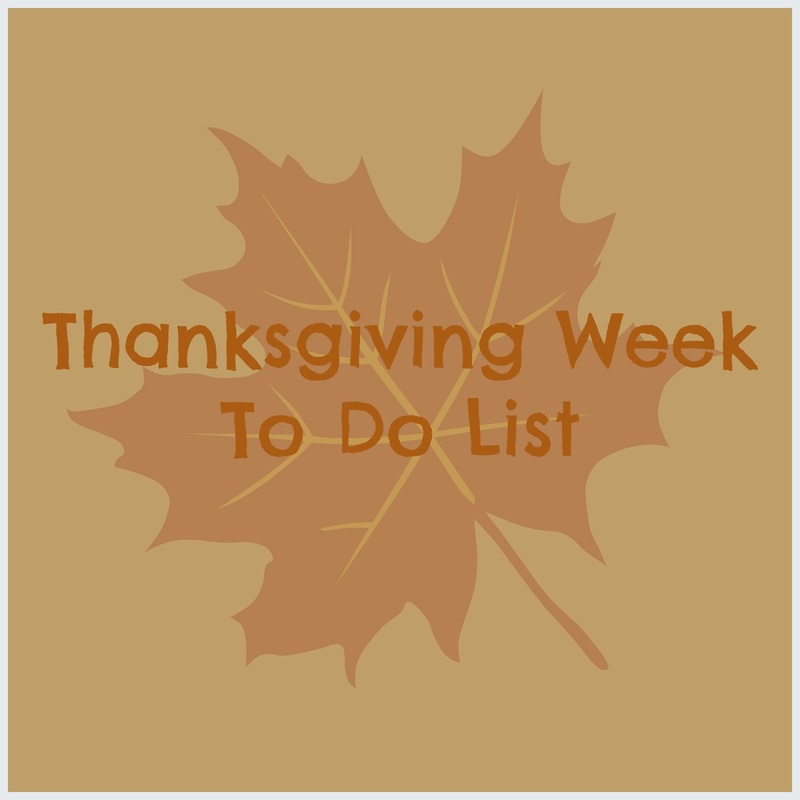 My list is really short---make Thanksgiving dinner and enjoy the family. We have the groceries and are just awaiting the arrival of son number one tomorrow and then we will just enjoy time together. Can not wait. Happy Thanksgiving, Val! Enjoy! Hope you have a great Thanksgiving too Beth Ann! I have all of my Christmas shopping DONE, with the exception of my husband. And I'm so thankful for that! I already did my grocery shopping because of the same reason you try to avoid the stores-it's CRAZY this week! I do have to pick up a couple things though, so I might do that today just so I can avoid the store tomorrow. I used to work in a grocery store, and Thanksgiving was by FAR the worst holiday to work during...people get crazy! I couldn't believe how busy the grocery store was at 2pm on Monday! I can only imagine what it is like today! I would be the same way trying and planning on having everything done before the 17th. Hope you have a blessed Thanksgiving too and good luck on Black Friday!